Bridal Portrait sessions were a HUGE trend in the 80's and 90's, but I think it's something that needs to make a comeback. 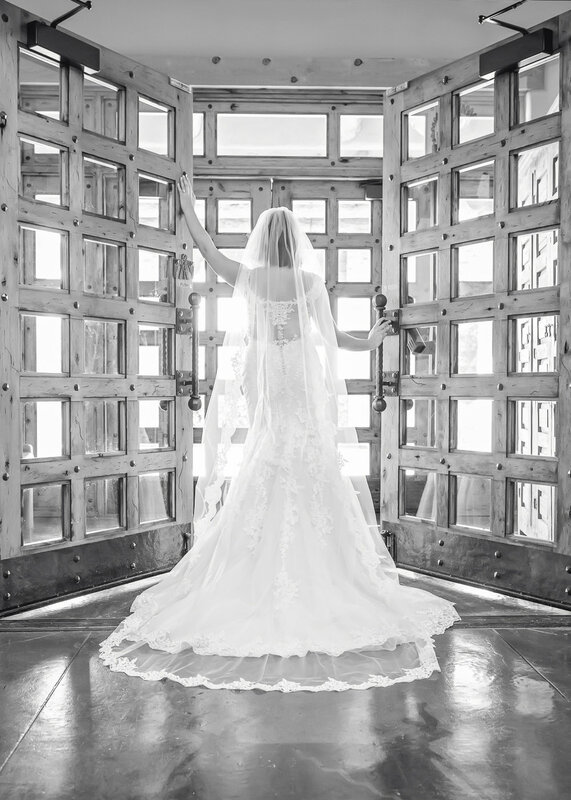 The idea behind this type of session is that a week or two before your wedding, you get your hair and makeup done by your hairstylist and makeup artist, you put on your gown, veil, and jewelry, and your photographer takes portraits of just you. It gives you a chance to see your bridal look all put together before your wedding, and it gives you a chance to see what, and what is not going to work, that way you can make adjustments BEFORE your wedding! It's also an opportunity for you to work with your photographer one more time before your wedding, so that you're just that much more comfortable with him/her. And, bonus: you get gorgeous portraits of yourself!